Hi, I’m Kate and I live in Ringmer, East Sussex with my husband and 2 children. I run classes in Ringmer, Cooksbridge, Brighton and Uckfield. My classes are friendly and welcoming and suit children of all abilities aged from 5 months to 5 years. 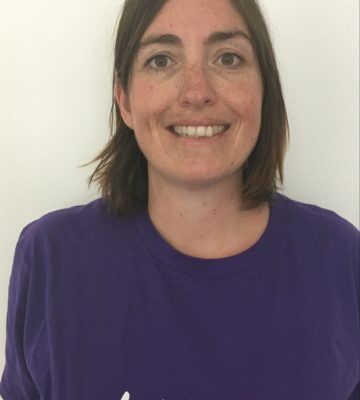 I am an experienced and qualified primary school teacher and have taught children aged 2-11 years old throughout my 15 years of teaching. For the last 9 years I have pursued my main passion of teaching children with a range of special educational needs, developing not only their educational skills, but also their social, emotional and physical development. I was so excited to discover Little Learners, an ideal way to use my knowledge and skills to help children develop their mark making and pre-writing skills. These fab classes also stimulate children’s sensory and social development through messy play and most importantly having fun! I have always been a strong believer that children learn best through play. 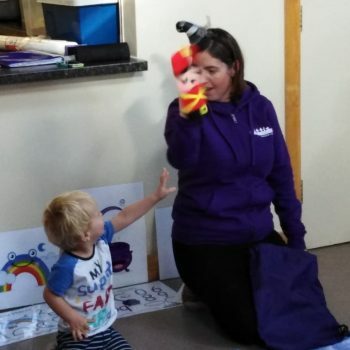 These classes not only benefit the children, but it is also a great way for parents/carers to meet other parents, chat and share experiences, in a relaxed environment. All in the knowledge that you are helping to develop important gross and fine motor skills in your children, with the bonus of none of the clearing up at the end! I look forward to meeting and welcoming lots of new families and having great messy fun with mark-making! Little Learners Birthday parties are great fun and so unique! Did you know we can tailor our parties to your child’s interests and favourite characters, books or TV shows? We also offer our popular ‘cake smash’ tray (for a small additional fee), which make fabulous photo opportunities to mark your little one’s Birthday! The party room will be set up with (themed) messy trays, sensory play, painting and drawing stations, play dough, crafts and dance area. 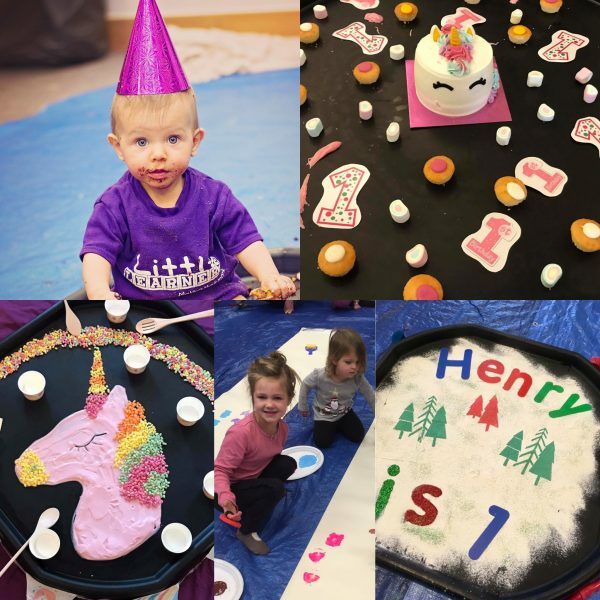 Our party packages start from £120 for up to 15 children and your party can be set up at a venue of your choice – we bring everything required, deliver the session and clear up all the mess afterwards – what could be better? Smaller parties in your own home/garden can also be arranged. 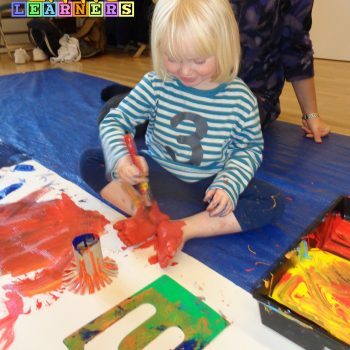 “My little boy, nearly two, has grown to absolutely love Little Learners Lewes and Brighton with lovely Kate. 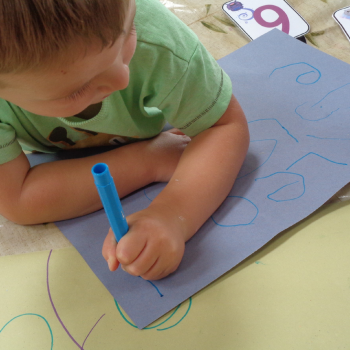 He started off completely opposed to getting messy, so stuck to the fine motor skills activities, play dough and drawing. After a couple of weeks he really started to warm to the more messy activities and with Kate’s calm enthusiasm and patience ended up painting himself, Kate…and me! He even managed to do some good mark making with his new love of the more messy activities! I have been taking my grandson since the group started in September, although he was only just over 5 months old then he really enjoyed feeling all the lovely new textures….especially the slimy and squishy ones! The group is very welcoming, and Kate very attentive to all her little learners. It is a lovely safe enviroment for children to learn in. We love it!! “Thank you for a lovely morning! Toby & Elsie really enjoyed discovering different types of textures using their hands and feet trying to make marks. 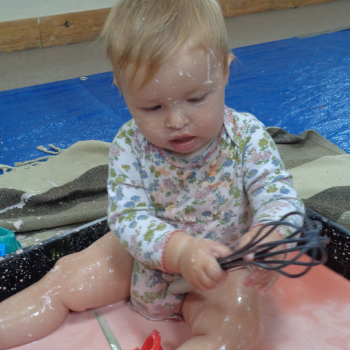 It was lovely and relaxed the twins were able to potter around discovering different types of messy play!